Prostitution Scandals in China presents an examination of media coverage of prostitution-related scandals in contemporary China. It demonstrates that the subject of prostitution is not only widely debated, but also that these public discussions have ramifications for some of the key social, legal and political issues affecting citizens of the PRC. Further, this book shows how these public discussions impact on issues as diverse as sexual exploitation, civil rights, government corruption, child and youth protection, policing abuses, and public health. 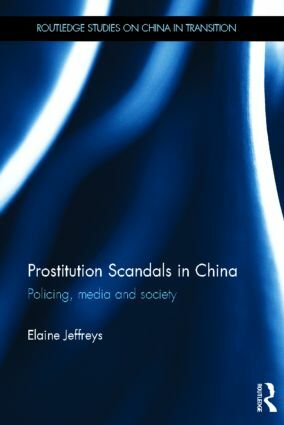 Prostitution Scandals in China will be of great interest to students and scholars across a range of diverse fields including Chinese culture and society, gender studies and media and communication studies. Elaine Jeffreys is an Australian Research Council Future Fellow at the China Research Centre, Faculty of Arts and Social Sciences, University of Technology Sydney.